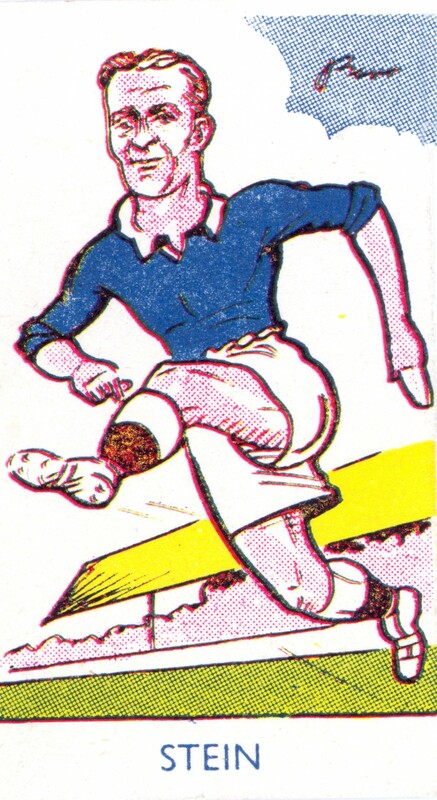 Caricature of Jock Stein in his playing days with Albion Rovers. While playing with the ‘Wee Rovers’ he continued work as a miner during the week. He went on to be one of the most famous managers in Scottish football history.